Over a thousand years ago, the wind, sea currents and stars brought people to the islands that became known as Aotearoa, the land of the long white cloud. Navigate your way through this sumptuously illustrated story of New Zealand. Explore the defining moments of our history, captured by celebrated children’s book creator Gavin Bishop, from the Big Bang right through to what might happen tomorrow. Discover Maori legends, layers of meaning and lesser-known facts. 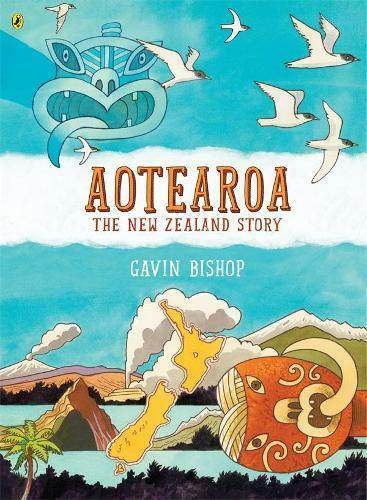 A truly special book, Aotearoa – The New Zealand Story deserves a space on every bookshelf, to be taken off and pored over, thumbed and treasured, time and again.